Here in southwest Ohio, fall is in the air. The nights are becoming cooler, the days are shorter, and the leaves in my backyard are transitioning from lush green to brittle oranges and yellows. Summer is over. While I welcome the change in season, the 365-day griller in me sheds a tear. Sure, I grill regardless of the temperature or weather conditions, but I readily admit one thing, it’s a lot easier to grill when it’s warm out. As I prepare myself mentally for cold weather grilling, and the fact that I now have to create my own light to take photos, I will use up this last bit of nice weather to get my grills ready for their winter adventure. Whether this is the time of year to hibernate your Webers for winter or it’s simply a pitstop on your way to some great cold weather dinners, it’s a perfect time for a cleaning. While it is important to regularly clean the ash out of the kettle, I like to do a really thorough job this time of year by cleaning under the charcoal grate. I also knock off and remove any flakes on the inside of the kettle lid. This is the thin black “paper” that can line the kettle lid’s interior. It’s the last thing you want to fall on the food, so it’s important to remove it. For the outside, a little soap, water, and elbow grease keep my kettles looking great. As winter starts to knock, I follow the same cleaning procedure I do in the Spring by removing the grates, Flavorizer bars, and burner tubes in order to thoroughly clean the grill box. Using a small plastic putty knife, I scrape any grease and food debris into the grease tray and then into the disposable drip pan. The drip pan is then replaced with a new one. 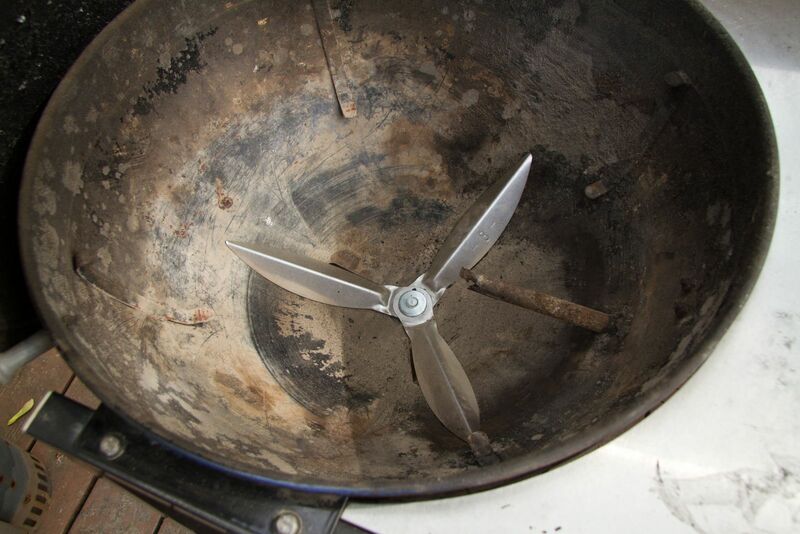 The interior of the burner tubes are inspected and any debris or insects are removed. 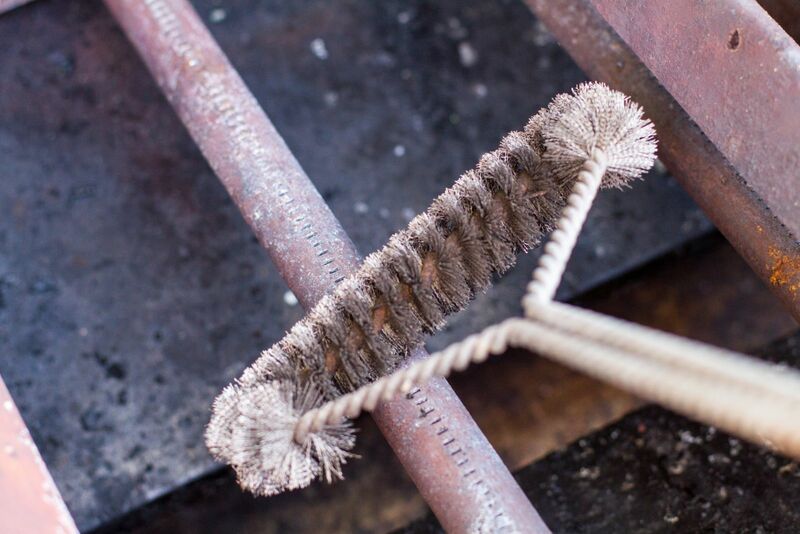 Also, the exterior of the burner tubes are scrubbed with a steel wire brush. It’s important none of the ports on the tube are obstructed. After everything is reassembled, I clean the outside of grill with soap and water and dry with a soft cloth. A happy grill is a clean grill. Is your gas grill running on liquid propane (LP)? If so, now is a great time to get those cylinders filled for winter. It’s never fun to run out of gas mid cook. Not only will a good pre-winter clean help your grills function all winter long, but it will also prolong the life of your grill for many years to come. It’s a small amount of work for some great cold weather dinners. Get more of our cleaning tips here.